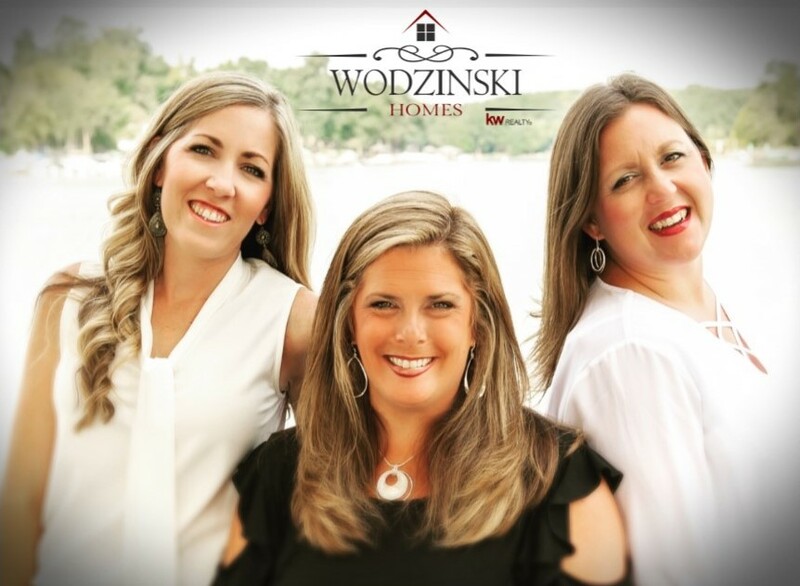 When you're looking to buy or sell, CALL Wodzinski Homes Team!! We pride ourselves on going above and beyond for YOU!!.
" Brelin is a 5 star agent! She truly goes above and beyond to meet all your expectations, and help you find exactly what you're looking for. While looking for a home for my mother, Brelin took the time to listen to her wants, needs and budget. She never pressured her beyond that, and kept her searches within that criteria. It doesn't matter how big or how small, she works hard for everyone! She really cares about the people she works with, and establishes relationships that last far beyond any purchase of a home. We are so thankful to have worked with her, and would highly recommend her to be your agent too!	" " The day before my house sold, I was doing a final walk through to make sure everything was done. It hit me very hard that this chapter of my life was coming to a close, and I started to cry. So many memories were made, and moving on was hard, but Kelly just listened to me talk and hugged me when I cried. It meant so much to me that she took the time to care about me, and what was happening in my world. Her connection to people is more than just business, she is a great friend! " " Kelly was amazing in helping us find our home. She was quick to send us information on new homes on the market and very accommodating in showing us those homes- even multiple times! She is extremely personable, knowledgeable in the real estate process and very eager to find you your dream home. We would highly recommend Kelly as your real estate agent! " " Kelly helped us in the purchase of our first home and I must say we could not have picked a better Realtor!! She made us feel important and listened to every need and desire we had in a home! She made the home buying process a breeze!! I highly recommend her to anyone and everyone!!! " " Brelin always the professional while she helps you search for your perfect home. She is a very caring person and will go the extra mile to make things happen. At the bargaining table she's a tiger. She makes sure you are treated in all fairness and honesty. I am so grateful she was on my team. "